"Standing before God in prayerful solidarity with our long-suffering brethren of the Ukrainian Orthodox Church, headed by His Beatitude Metropolitan Onufry of Kiev and All Ukraine, who, being revered and respected throughout the whole of the Orthodox world, is primate of the only recognised canonical Orthodox Church of Christ in Ukraine, we, the members of the Synod of Bishops of the Russian Orthodox Church Outside of Russia, which carries out its ministry in the lands of North America, Europe, Australia, New Zealand and other nations of the West, ministering to numerous emigres from the lands of historic Russia and their descendants, express our profound indignation at the blatant violation of the Holy Canons by the Orthodox Church of Constantinople. 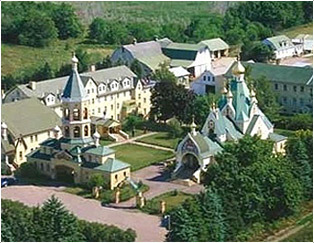 The decision of its hierarchy to send its ‘exarchs’ into the canonical territory of the Ukrainian Orthodox Church, without the agreement and permission of His Holiness Patriarch Kirill of Moscow and All Russia and His Beatitude Metropolitan Onufry of Kiev and All Ukraine, is a gross and unprecedented incursion by one Local Church into a distant canonical territory, which has its own Local Church that is alone responsible for the Orthodox flock of that country. This action, taken by His Holiness Patriarch Bartholomew and his fellow archpastors, threatens the unity of Holy Orthodoxy. In light of these developments, we call upon the clergy and flock of the Russian Orthodox Church Outside of Russia, together with the other Local Orthodox Churches, to redouble their holy and ardent prayers for peace in Ukraine, and unfailingly to oppose the evil presently befalling our persecuted brothers and sisters, the children of the Ukrainian Orthodox Church. May the Great and Supreme Head of the Church, the Good Shepherd Jesus Christ, grant strength to His Beatitude Metropolitan Onuphry and to the Episcopacy of the Ukrainian Orthodox Church, which all those who have departed should repentantly and in appropriate manner approach for canonical reception into the Orthodox Church; and may the Lord grant His Beatitude, together with his clergy and flock, long-suffering patience, a multitude of His mercies, blessings, and consolation in the tribulation that now befalls the faithful of Christ in the land of Ukraine. Amen."